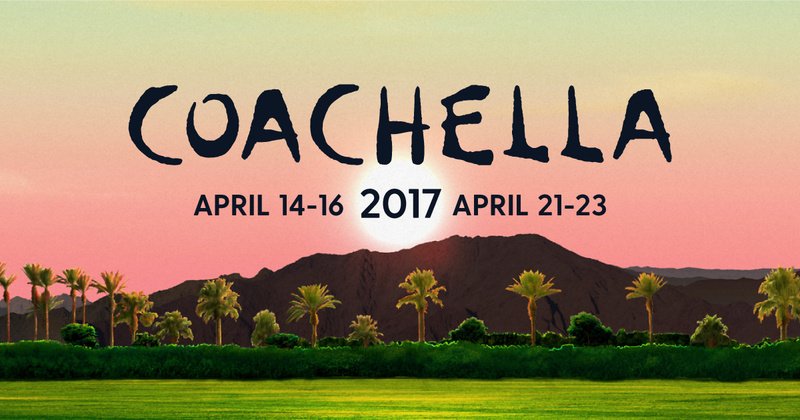 Coachella is one of the most famous music festivals in the world taking place in the #springtime, this year from 14th – 16th of April & 21st – 23rd of April 2017 in beautiful state California, USA. We are going to bring you the best outfits from Coachella 2017 so far! Starting with typical Coachella style and beautiful model Gigi Hadid with her nice outfit in “western style” combined with accessories such as few silver necklaces, metallic bag, and sparkles on her forehead. Really trendy! American model Chanel Iman rocked this out! Her outfit was funky, stylish and all the accessories were matching. We totally love her hair! 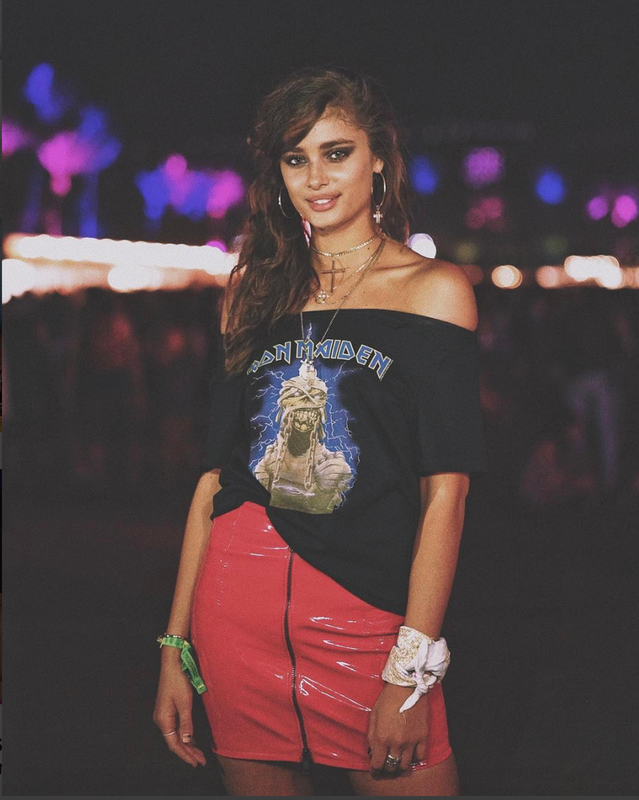 Flawless model Taylor Hill chose a combination of a red leather skirt with a famous British heavy metal band. With all the accessories and mysterious makeup, she looked perfect! Actress Vanessa Hudgens looked totally gorgeous in her outfit! Black Cropp top, shorts, shoes and hat really suit her plus the colorful kimono gives the outfit summer vibes. Singer Selena Gomez & The Weekend look totally adorable and happy together! Selena was shining in her girly dress with flowers all over combined with a little scarf tied around her neck in the same design and sneakers. The Weekend was wearing denim jeans and shirt combined with white sneakers. These two are just matching! Victoria´s Secret model and 2016 “fancy bra performer” Jasmine Tookes chose a really comfortable outfit. White dress and white crop top have made a very nice contrast with the brown accessories. Jasmine looked stunning! Instagram is one of the most popular app for sharing pictures in the world! The popularity of it is just growing and nowadays around 120 million people check their accounts every day! Everyone uses Instagram from celebrities, fashion bloggers, designers to ordinary people. That is why we bring you today 5 must-see fashion Instagram profiles! Louise Roe is an English beauty & fashion blogger and journalist nowadays living in Los Angeles. Her Instagram profile is full of nice, fresh and trendy outfits. You can find her on Instagram as a @louiseroe. Erica Hoida or on Instagram @fashionedchicstyling is a personal stylist and blogger from San Diego. Her outfits are urban, elegant and inspirational. Jacqueline Mikuta aka @mikutas is a Swedish blogger and photographer traveling around the world. Pictures of the outfits she posts on Instagram are very detail oriented, girly and relaxed. Zaklina is a real example of the stylish woman. Her Instagram profile is trendy and unique. You can find her on Instagram as a @realfashionist. Would you believe that she is 47 years and also a grandmother? Fashion phototgrapher Jonathan Paciullo aka @lefrenchystyle comes from Paris and his Instagram account is full of pictures of street style, casual and also classy outfits.